Panel on "Refugee Integration in Germany & Beyond"
Panel-roundtable on "Refugee Integration in Germany & Beyond"
For several years now, Europe has been experiencing a great influx of refugees. Germany has taken in the largest amount overall. This is both a great opportunity that will need to be managed appropriately, in particular with regards to the social and economic integration of refugees. 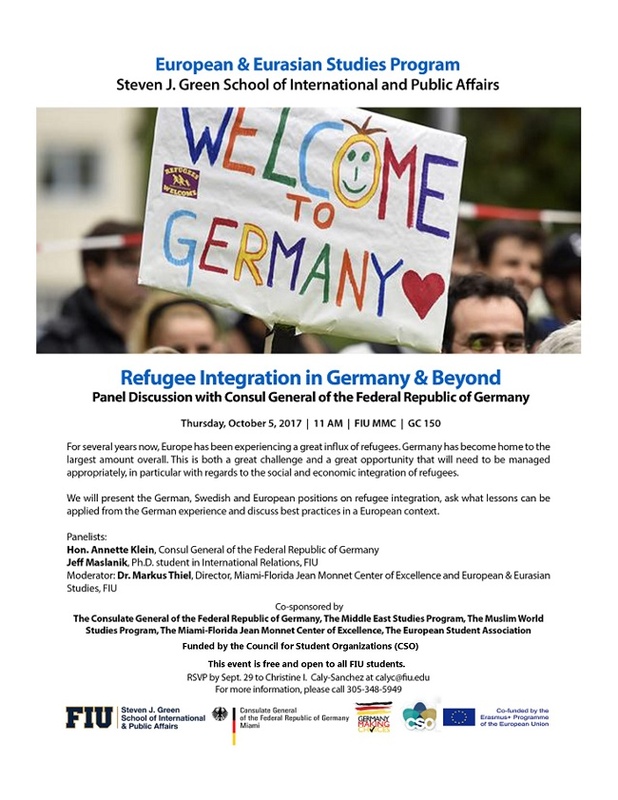 We will present the German, Swedish and European positions on refugee integration, ask what lessons can be applied from the German experience, and discuss best practices in a European context.